Warm Weather and Camaraderie on the Horizon! While February is still cold and dreary, NSA activities are heating up. I first want to encourage everyone to renew their membership for 2019 online via theNSA website. By now you should have gotten an e-mail reminder to renew your membership. It's easy to do online by following the link provided in your e-mail. Another option is to go to your member profile on the website, click on your name in the upper right hand corner and then go to invoices. There is also still time to relive and vote on your favorite moments of 2018 captured for the NSA Photo Contest. Winners will be announced at the Shrimperoo in March. Please help select the winners today! The SCOO/NSA Winter Seminar Series kicked off on February 9th with a workshop on CPR and First Aid. From Weather Forecasting to Docking in Wind to Race Management, there are a wide range of useful topics that will be covered nearly every weekend in February and March. See the event list for more details. Saving the best for last, our first social event, the Oyster Roast, is coming up on February 23rd. I don’t know about you all but I am excited to reconnect with old friends and new and share some fellowship. This is a great opportunity to catch up with NSA friends that have been hibernating during these cold winter months. Call for cruise captains! Thanks for the feedback! We still need volunteers for a number of the cruise captains. Thank you to those that have stepped up thus far! Please consider stepping up to lead a cruise. It is fun and easy! Just send a note to vccruising@neusesailingassociation.org to get started. The cruise schedule has been posted on the website for your reference of the dates and potential locations, also below. The Easter cruise is filling up! If you plan to come by boat, sign up ASAP to secure your place in line. The marina should be able to handle up to 25 boats, so space remains available but is filling up. This should be a great event with lots of participation. The results are in! There were over 75 respondents to the NSA Weeklong survey, with more than 35 members indicating plans to join the weeklong. WOW! Half indicated an interest in a back to back “2 weeklong” going north and south, and 2/3rd indicated an interest in some extension of the weeklong. Given the strong interest (beyond what most facilities can handle) we have decided to run separate north and south weeklong cruises this summer. Both cruises will offer a 1 week option as well as an extension. Respondents indicated a similar interest in either north or south, so the expectation is this will tend to split the fleet into 2 more manageable sizes while still meeting member’s desires. Look for this to be reflected on the website soon. Just in time for the Feb. 23 Oyster Roast, we have new NSA members to welcome. Please greet them if you see them at the Oyster Roast or other events! New Yacht members this month are: Tim Drake and Paula Harrington of Oriental with MV Faith Home Love that they keep at their home dock; Craig and Susan Duncan of West End with SV Second Wind that they keep at the Hilton Grand Marina in New Bern; and John and Clair Earwood of Raleigh with SV Wabi Sabi, which they keep at River Dunes Marina. We also have new Patron members – Darrell and Sharon Foster of Foster’s Mobile Marine Service. When you meet our new members, be sure to introduce yourself and welcome them to the club! If any new member has not yet received a Welcome Burgee, please contact me at vcmembership@neusesailingassociation.org. If anyone wants to replace a weathered burgee, I have a new batch available for $25 apiece. Just let me know, and we’ll get it in the mail in time for our sailing season. Looking forward to a great sailing season! How often do you get an invitation like this? February is the month for NSA members to vote on their favorites in the 2018 photo contest. Login on the NSA website, neusesail.wildapricot.org, and go to the Photo Contest main page to learn how you can select your best in class in each of the five categories. Each member can vote one time in each category. Voting closes Wed., Mar. 6. Winners will be announced at the Shrimperoo in Mar. Help select the winners today. February has finally come and NSA members new and old are ready to get together and share in the first Social Event of the year! 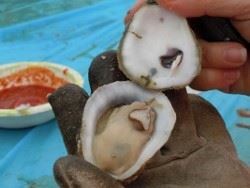 The NSA Oyster Roast will start 2:00pm and end at 4pm on February 23 rd at the Oriental Marina. This event is a great opportunity for newer members to enjoy standing shoulder to shoulder around a table with other NSA members shucking oysters and getting to know each other. You don’t have to be an experienced oyster shucker to join in the fun since there will be plenty of skilled shuckers willing to share their knowledge. NSA will have a limited supply of “shucking equipment” such as the gloves, shucking knife and plenty of paper towels to wipe your hands. If you have your own knife and glove please bring it. In addition to the oysters NSA will have plenty of saltine crackers, hot sauce, cocktail sauce and lemons available. Members please bring a side dish or dessert to share. Each member receives 2 beverage tickets to use at the Tiki Bar. No pre-registration is necessary. There will be a membership table on site to accept renewals and new memberships. This year the 50/50 raffle will make a donation to the Whittaker Creek Restoration Fund. There is still time to volunteer to help make this event a great success! The NSA members forum has a list of volunteer tasks. Take a look and see what you would like to do to help or just email us! Looking forward to hearing from you! Plans are underway now for another great Shrimperoo so mark your calendar! The fun starts at 2:00pm March 23 rd at the Oriental Marina. There will be plenty of shrimp, assorted foods, live music and our favorite beverages. The event is open to the public so grab your friends and head to the Tiki Bar! Non-members will be charged $10 for admission, which can be applied toward their NSA membership if they join that day. We’ll have a Member Station set up to assist with renewals and any non-members wishing to join the club. As always, don’t forget to bring a side dish or dessert. 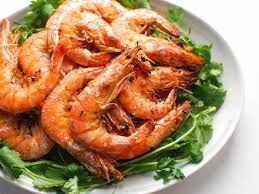 We want to encourage all NSA members to talk to your boating neighbors about the Shrimperoo. This event has become a very successful recruitment for new members. There are many of us in the club now that the Shrimperoo was our introduction to this fantastic club. Although it’s still winter, it’s not too early to start planning for the Dinghy Poker Run scheduled for July 27. This year we are moving the event under the NCO umbrella. In case you don’t remember, the 3 sailing clubs in Oriental – NSA, SCOO (Sailing Club of Oriental) & ODC (Oriental Dinghy Club) – formed the NCO (Nautical Co-op) as a way to work together for specific events, but maintain our individual personalities & club activities. It seemed a natural fit to have the Dinghy Poker Run fall under this umbrella, as this is a fundraiser where we give back to the community. I am planning a meeting for those interested in volunteering to help organize this event. I am hoping to put together committees for advertisement, solicitation of goods for prizes & auction items, food planning, poker run course planning, volunteer organization, etc. This meeting will be at my house on Sat. March 30 at 0900. (No seminar that day.) Address: 1420 Seafarer Dr., Oriental. If you would like to volunteer, but cannot be at the meeting, just let me know – srstephenson1420@gmail.com or 919-414-7719. Members of SCOO & ODC will also be invited to join the organization efforts as well as to volunteer for the day of the event – more details on that later. SCOO, NSA and ODC will be joining together to offer our members and the community at large excellent opportunities for learning! There are lots of interesting and valuable topics planned so mark your calendars. You won't want to miss a single one! All seminars will be held at the Town Hall from 9-12 unless otherwise arranged. 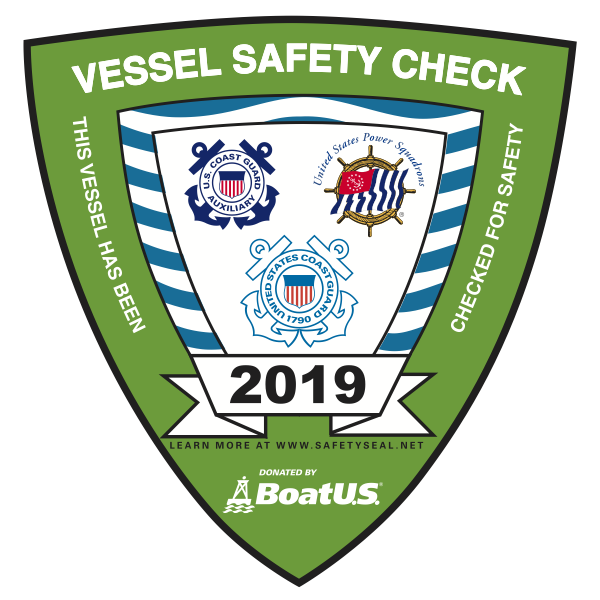 The Vessel Safety Check event will be on Saturday April 13th. The Cape Lookout Sail and Power Squadron volunteers will be conducting the safety checks for us again this year. To facilitate the allocation of resources we need to use the sign up sheet for skippers interested in taking advantage of this offer. The web site will be set up to accommodate this process and we will notify you once this is completed. Oriental based marinas will be the locations available for this event. (Sea Harbour, Sailcraft, Whitaker Creek, Oriental Harbor, and Pecan Grove) Any one outside that area can plan which marina their vessel will be in for this event. Information needed to schedule a check is; Vessel Name; Marina; Slip Number; Skipper/designated person for date of inspection; Phone Number of that individual. Thank you for taking safety seriously. On Wednesday January 9, with David Talbot on board who has joined us as crew, we said goodbye to Cape Town. We thoroughly enjoyed our time in South Africa, but were ready to go to sea again. Unfortunately our attempts at this were to be short lived. Four hours out from Cape Town, in 20 knots of wind and flying the gennaker, our bowsprit sheared off the cross beam at the front of the boat. We managed to bring the gennaker down without further damage, but unable to really assess how serious the problem was, and reluctant to commence a crossing of the Atlantic without the bowsprit, we returned to Cape Town, leaving the fleet to continue to St Helena. This time we went into the Royal Cape Yacht Club, at the request of Associated Rigging, whose workshop is there. We squeezed ourselves into the designated slip, struggling a little in the confined space and in wind that was now gusting 25 knots. The next morning Associated Rigging arrived and after some discussion, we decided to rivet on a patch and replace the bowsprit. Now in port, we could see that the damage was not structural, but caused by a number of factors including metal fatigue - so this would have happened at some point in the near future. They were extremely efficient and completed the work that day. However, now the Cape weather had changed and we had to stay the weekend in Cape Town, only able to depart again early on Monday January 14. The passage to St Helena was slow for all the boats as the South Atlantic High Pressure zone was unusually far north and very close to the Southern African coast. Eventually after judicious use of the engine we managed to arrive just in time for the last island tour organized by WARC and for the dinner that evening. St Helena is a strange, UK administered island, in the middle of nowhere. It was first discovered in the early 1500's by a Portuguese explorer and became important as a staging post for ships crossing the Atlantic. With the advent of the Suez Canal it's importance declined. Today it's population of about 4000 is tending to decline as young folk depart. The island is volcanic and it's main claim to fame is that Napoleon Bonaparte was imprisoned on the island and later died there. there is a great deal of fertile land, but unfortunately none seems to want to farm it and so almost all fresh produce has to be brought in from South Africa. We decided not to rush and depart again only 2 days after arriving and so we spent an additional night in the anchorage after the fleet had departed for Salvador, following the next morning. The first three days of the passage to Salvador were very slow with very light winds and some motoring. The 1900 nm passage seemed to stretch out interminably in those first few days. Now 6 days into the trip we have reasonable winds and have been flying our parasailor for much of the time. We hope to arrive in Salvador, Brazil, on February 9.